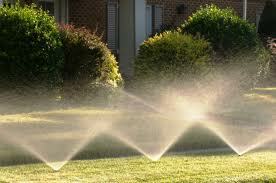 At CityWide Sprinklers our years of expertise set us apart from our competition. Whether it is a new build, an existing landscape, commercial or residential property you can count on us to get the job done right! It is important to work with an experienced contractor from conception to completion as a sprinkler system is only as good as the initial design. When you work with us, our professional installers take into account many variables such as the types of plant materials being irrigated, the grade of your property and sunlight variations in order to ensure you receive a system specific to the needs of your landscape. We install all professional grade components including, although not limited to, Rain Bird, Irritrol, Toro and Hunter. CityWide Sprinklers offers an industry leading warranty, 5 years for sprinkler heads, 3 to 5 years for valves, controllers and other electronics. We use only CSA and premium grade piping which is installed with a vibratory plow ensuring minimal disruption to your landscape. So what are you waiting for? With a professionally installed underground sprinkler system from CityWide your yard will be the envy of the neighborhood!